If you don't see this label, try to find out as much as you can about how the item is grown. Vitamin A (retinol) - found in foods like Liver, Egg Yolks, pasture butter, milk, cheese, fish oils, mackerel, trout herring and salmon. Its important to note that Beta Carotene is an unreliable source of Vitamin A. It is NOT converted in infants, poorly in children and some adults. Carlson Extra Virgin Cod Liver Oil to ensure adequate vitamins A and D. One teaspoon daily is all you need. Grass Fed Ghee to ensure adequate vitamin K2. There is no limit to how much you can take, but small amounts are sufficient. Spry Mints containing Xylitol which is a natural sugar like substance to help stop germs from colonizing your teeth and to raise the PH of your mouth to help eliminate decay. 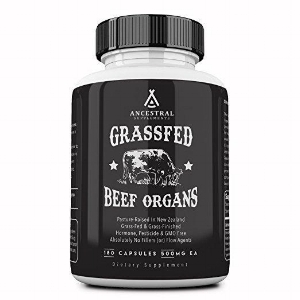 Ancestral Supplements freeze dried organ meat capsules for those of you who just can’t get used to the taste. You may think cereal is healthy, but this and other carbs are not good for your teeth. Sugars like table sugar (evaporated cane juice, cane crystals, sucrose), high fructose corn syrup (crystallized fructose, fructose, concentrated fruit juice, maltose (malt syrup) dextrose and agave. Follow this guide, brush, floss and visit your dentist regularly - and you will be on your way to a healthier mouth.